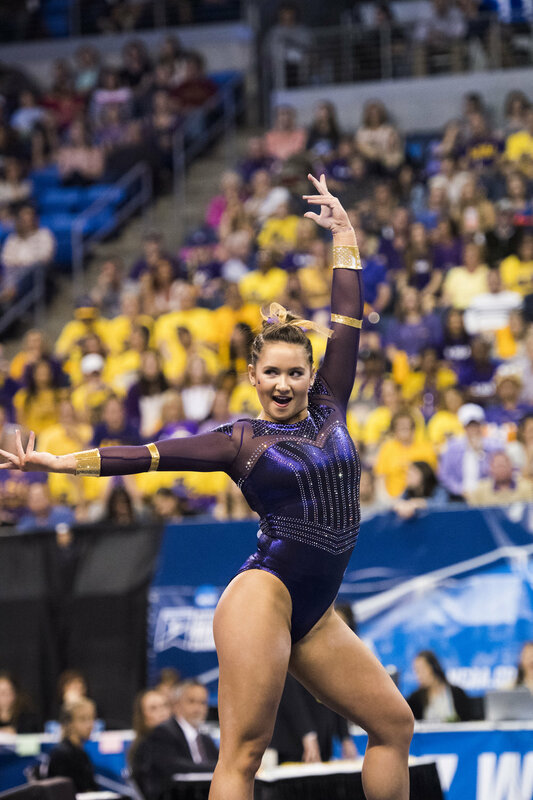 Tremendous athlete with outstanding skills on all four events … Poised to continue playing a big role in the team’s success after earning three All-America honors and All-SEC honors as a freshman … Ranked as one of the nation’s best gymnasts on bars and beam in 2016. 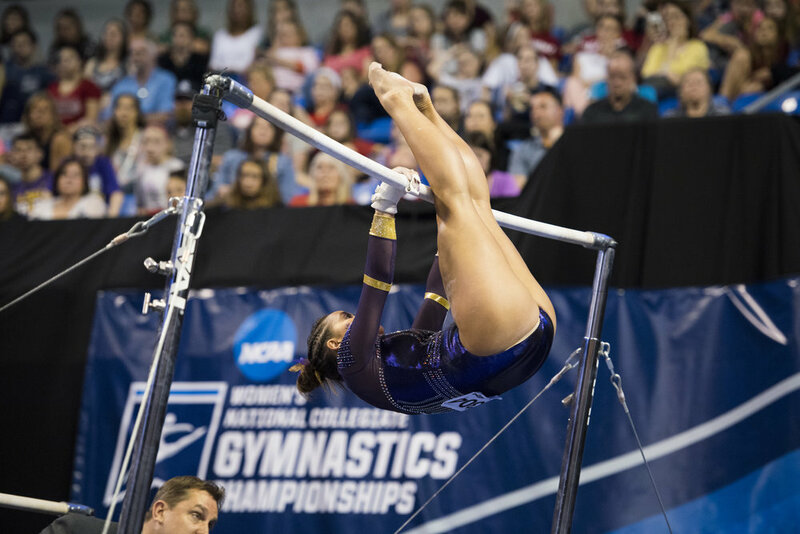 Earned three All-America honors with regular-season distinction on bars and beam and a first-team honor at nationals by scoring a 9.90 on bars at the NCAA Semifinal I (4/15) … Recorded All-SEC and SEC All-Freshman honors after she scored a 9.925 to place second on beam at the SEC Championship (3/19) … Finished the season ranked No. 4 nationally on beam and No. 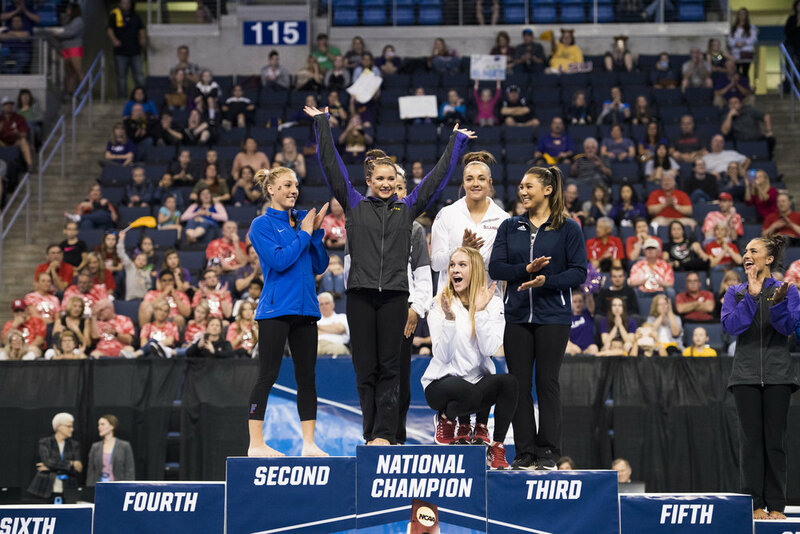 11 on bars … Captured seven individual titles with four on beam and three on bars … Won beam titles with a 9.925 vs. Oklahoma (1/9), 9.90 vs. Kentucky (1/22), 9.925 vs. Arkansas (2/5) and 9.90 at Texas Woman’s (3/12) … Bars titles came with a 9.95 against NC State at the Lady Luck Invitational (1/14), a 9.925 vs. Alabama (3/4) and a 9.95 at Texas Woman’s … Competed on bars and beam in all 14 meets, competed on vault in 10 meets and saw action on floor in three meets … Appeared in the all-around at the Metroplex Challenge (1/30), vs. Arkansas and at Georgia (2/13) … Posted career highs of 9.925 on vault, 9.95 on bars (twice), 9.925 on beam (four times), 9.90 on floor and 38.975 in the all-around … Her 9.925 on vault came at Texas Woman’s, and her 9.90 on floor was at the Metroplex Challenge … Named SEC Freshman of the Week three times after stellar performances against Oklahoma, at Florida (2/26) and at Texas Woman’s … Became the first gymnast in school history to post a 9.95 on bars in the first road meet of her career (at Lady Luck) ... 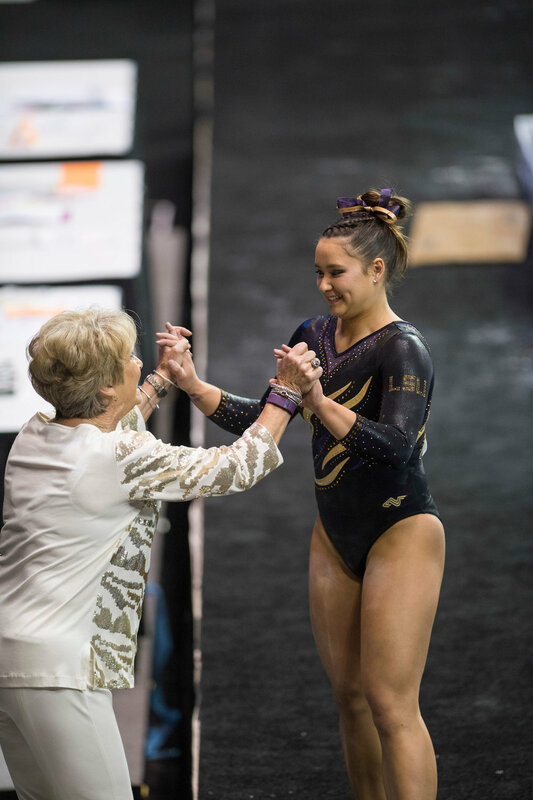 Her 9.925 vs. Oklahoma is the highest score in an LSU gymnast’s first career beam routine in school history ... 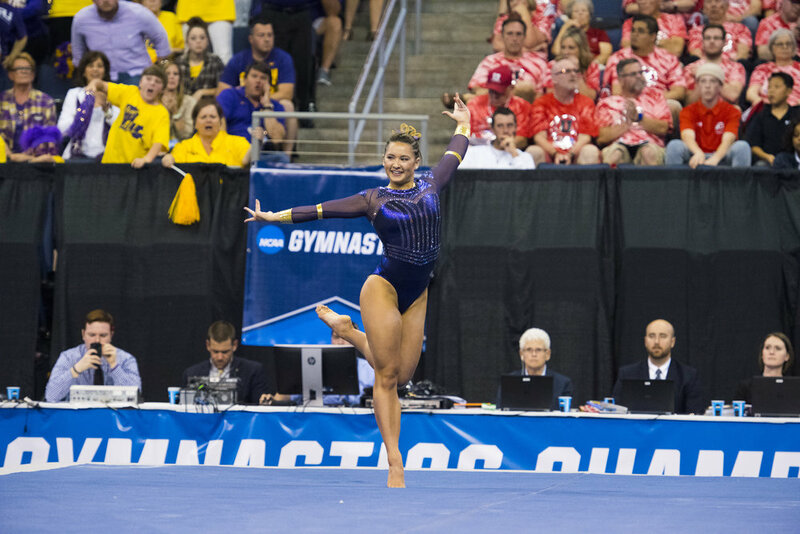 Averaged a 9.840 on vault, 9.732 on bars, 9.834 on beam, 9.692 on floor and 38.825 in the all-around … Tallied 18 scores of 9.90 or higher with eight on bars, seven on beam, two on vault and one on floor … Recorded 31 scores of 9.825 or better with 12 on beam, 10 on bars, seven on vault and two on floor … Member of the SEC First-Year Academic Honor Roll.